Read the original story from OnMilwaukee here. Milwaukee has become a magnet for bars that feature more interactivity. Whether for a bachelor party or other group celebration, it's more engaging with some recreation. Billiards, darts and bar dice have given way to bowling, arcade games and axe throwing. Yes, you read that last one correctly. 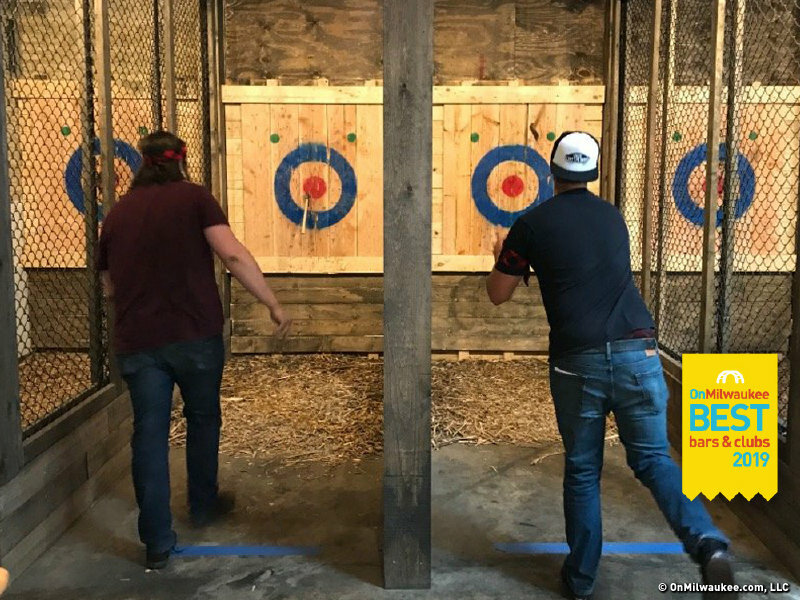 This year readers have chosen AXE MKE, the East Side blade-flinging bar, as 2019's best spot for a bachelor party. What's a better way to assert your manliness and grow some extra chest hair than to imbibe your favorite brews and throw hatchets at a target? Located at 1924 E Kenilworth Pl., AXE MKE takes group reservations whether for friends, family or a work outing. They also offer walk-ins for those curious to try something new. Also, beginning in April, league play starts again. Do you think you have what it takes? Grab your boys, warm up that throwing arm and sign up! Despite its win in this category, AXE MKE is open to anyone 21 and older looking to show their grit! Ladies, mom and dad, even grandparents are welcome! And OnMilwaukee's staff also decided to roll with the hype, choosing AXE MKE as its editor's pick. Cheers to interactive bars being here to stay – just be careful where you swing your axe! Brought to you by the East Side Business Improvement District.